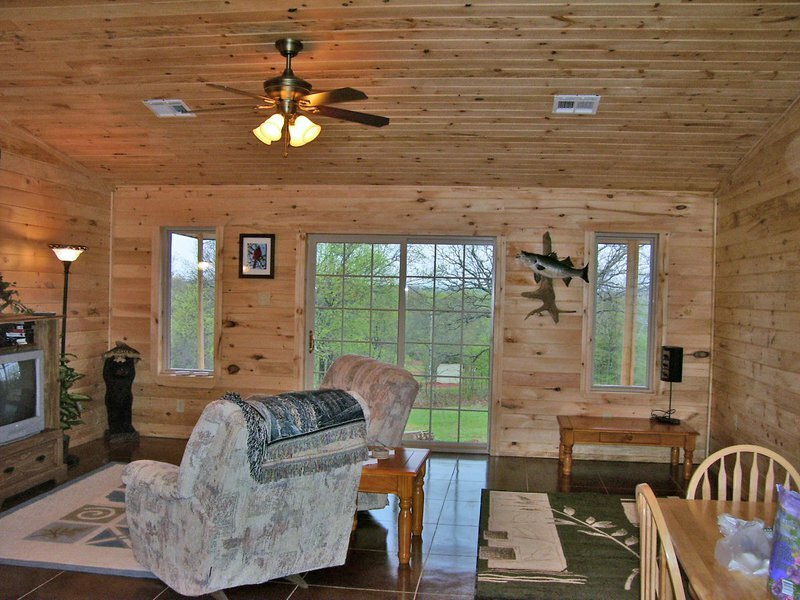 Come and enjoy the peace and quiet in a beautiful country setting. 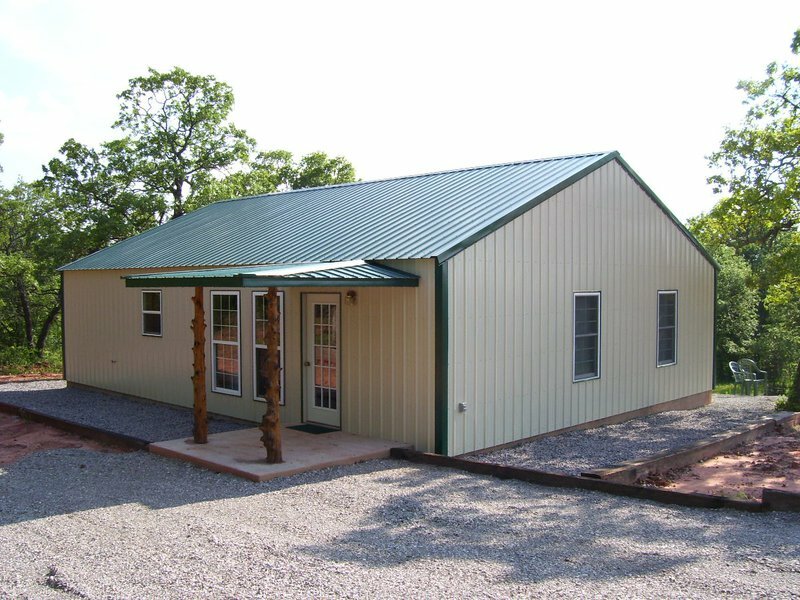 Located on 180 acres of a working cattle ranch near Maud, the Back 40 Retreat features two bedrooms with queen-sized beds and private bathrooms. 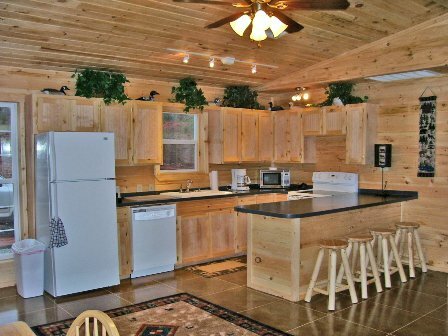 The cabin also offers a fully furnished kitchen, living room with a twin-sized day bed, vaulted ceilings, ceiling fans and central air conditioning. Linens and towels are provided. A partially covered deck overlooks a fire pit and both propane and charcoal grills are provided, along with firewood. 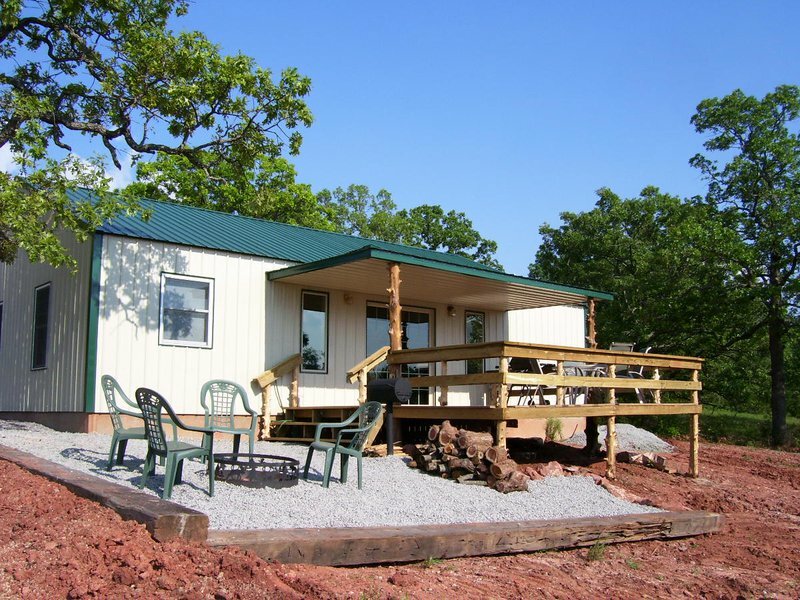 Additional guests in campers, trailers or tents are always welcome. 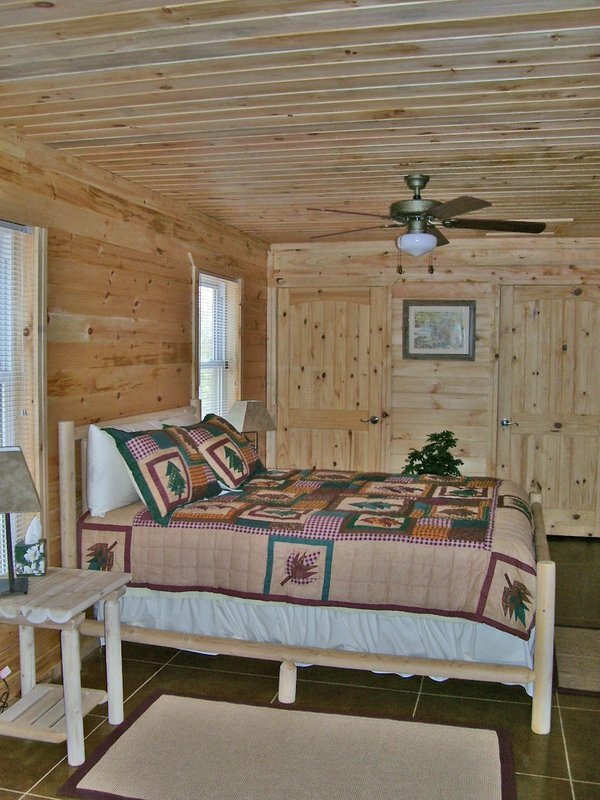 The cabin is also located near several restaurants and other area attractions in Seminole, Shawnee, Ada and Prague. Additional guests are $5 each While every effort has been made to ensure the accuracy of the pricing listed above, prices are subject to change without notice. From I-40, take Hwy 177 S. Then take Hwy 9 E at Tecumseh. Follow to 9A, turn S and follow to Hwy 59. Turn W (R). At top of hill where Hwy 59 goes L, take paved road straight. At OG&E go 2.5 mi W. At top of hill go N (R) 3/4 mile. Cabin is on the left after second oil well.